Punk historian and music journalist Jon Savage has assembled an oral history of Joy Division to be published in March 2019. "This Searing Light, the Sun and Everything Else: Joy Division" features interviews with all the surviving members of the pioneering band -- Bernard Sumner, Peter Hook, and Stephen Morris -- along with Deborah Curtis, Peter Saville, Tony Wilson, Anik Honore, and others. It sounds to be a compelling companion to the 2007 documentary Joy Division, written by Savage and directed by Grant Gee. 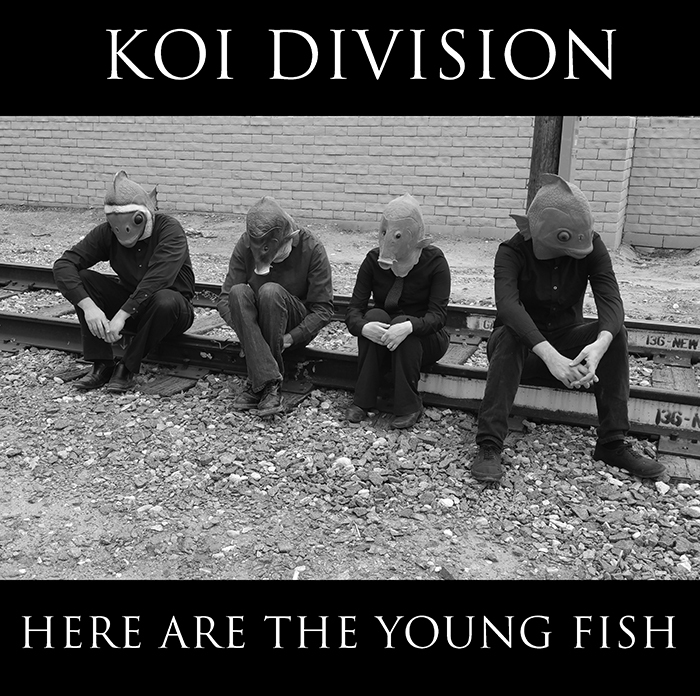 On their website, Los Angeles-based Koi Division proclaims they are the "only Fish Goth Joy Division parody cover band that matters." I'm no expert, but I'm inclined to believe them. Each band member not only dons a plastic fish mask but has also been given an appropriately-fishy moniker. The band is: Ian Clownfish, Hook, Bernard Salmon, and Steve Moray. Their song titles are also on punny point. For example, "Love will tear us apart" becomes "Lures will catch us a carp." Koi Division, however, is a much lighter affair. 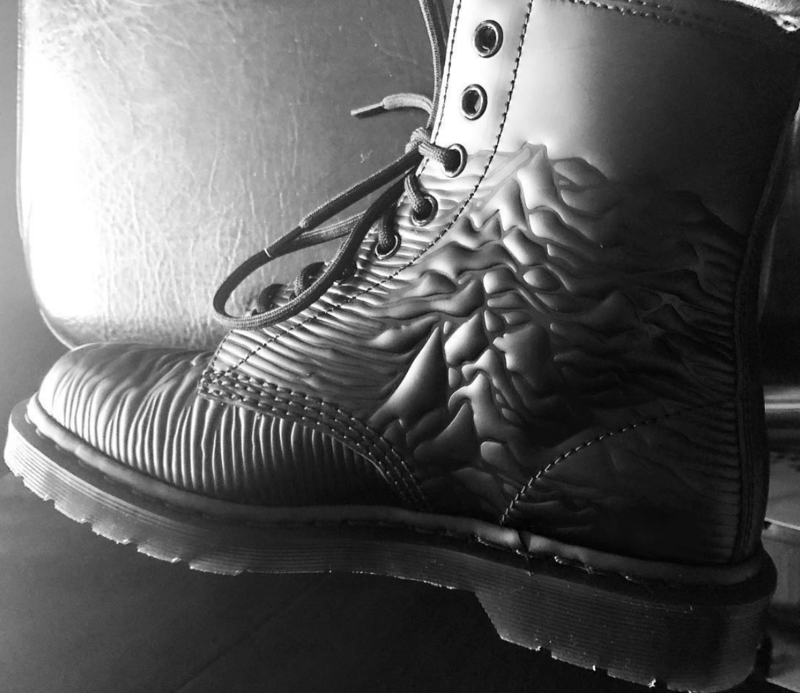 Donning black clothes and plastic fish masks, they wind their way through Joy Division covers with modified lyrics that explore the daily, often baleful, goings-on of the sea. Their shows incorporate a bubble machine and display a beachy version of the iconic Unknown Pleasures album art behind them. Though it might seem as if they're mocking, there is a reverence behind the humor. If you're in L.A., you can catch their next show at the Ham & Eggs Tavern on 9/11. In May 1984, George Michael and Morrissey, promoting respectively “Wake Me Up Before You Go-Go" and The Smiths' "Heaven Knows I'm Miserable Now," appeared on the BBC program Eight Days A Week. They discuss such urgent matters as the film Breakin' (released as Breakdance outside the US) and Mark Johnson's book An Ideal for Living: A History of Joy Division. 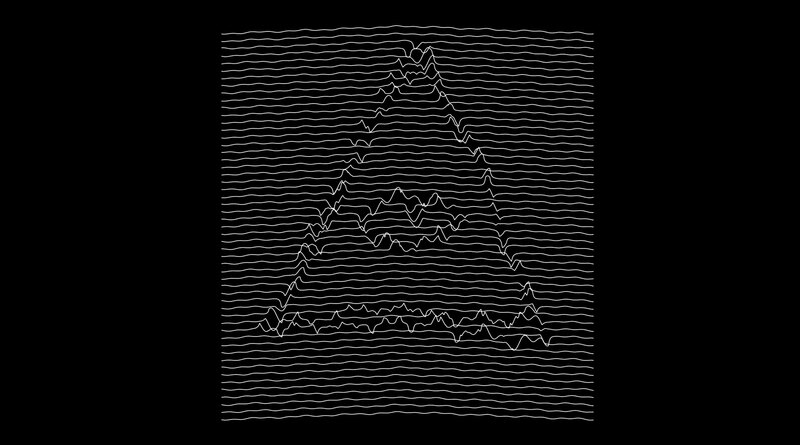 Garrett Finucane wrote a generator lets you create your own animated art in the style of the album sleeve for Joy Division's Unknown Pleasures. You can save your work as an animated GIF and check out the code from Github, too. On January 31, 2013, legendary bassist Peter Hook (Joy Division, New Order) will appear at the SF JCC in an interview with Boing Boing's David Pescovitz. On The Madeleine Brand Show (a radio program on which I'm a regular guest), Luke Burbank points to two strange Disney-related updates: first, Disneyland has finally relaxed their extreme rules banning all facial hair for staff/contractors—employees are now allowed to grow beards. And in even odder news, the Disney Store is now offering was, until today, selling a new t-shirt design based on the iconic Joy Division "Unknown Pleasures" album cover, with Mickey Mouse's face inserted in those wavy lines. From Manchester to Mousechester! There was backlash, and it looks like the item is no longer available in the online store. But Joy Division/New Order bassist Peter Hook liked it.